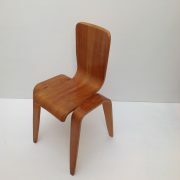 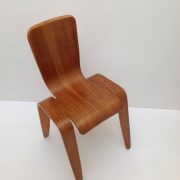 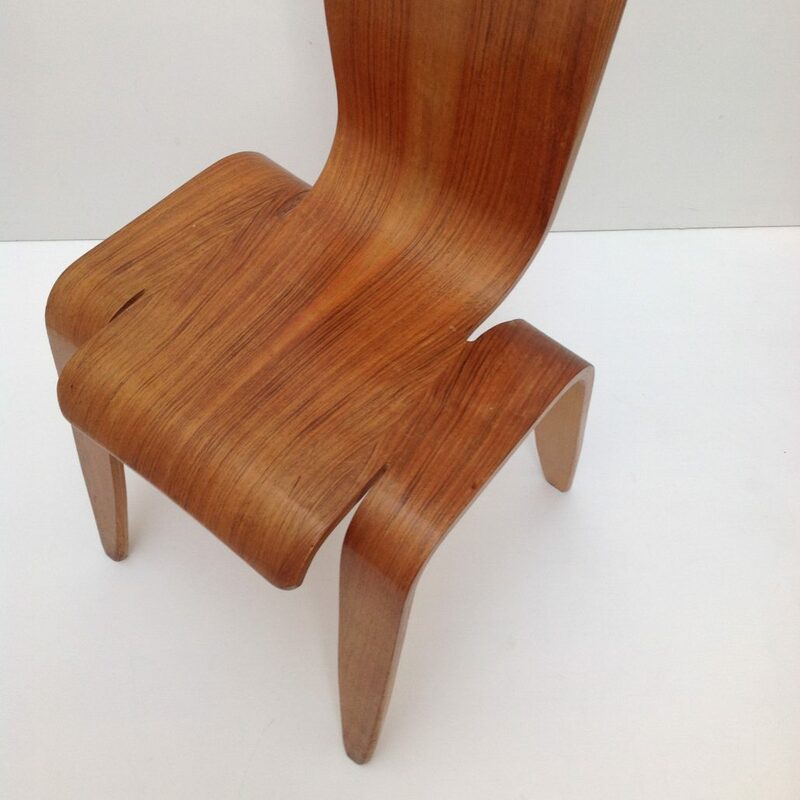 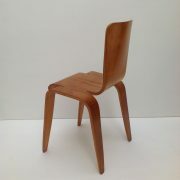 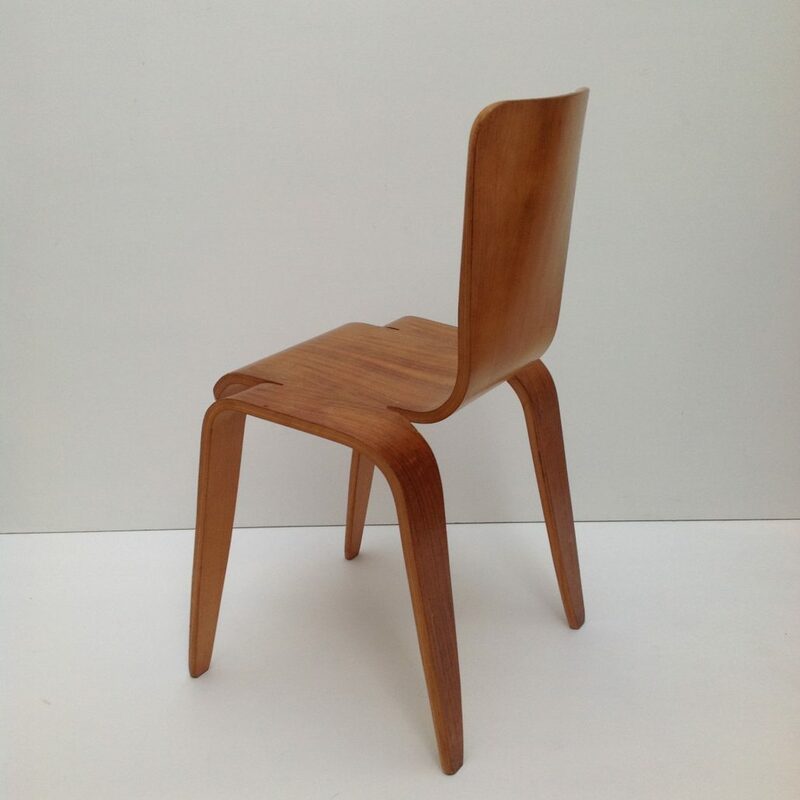 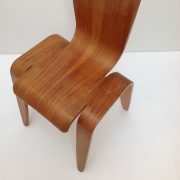 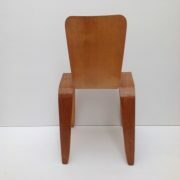 This is a lovely example of Han Pieck’s famous Bambi chair. 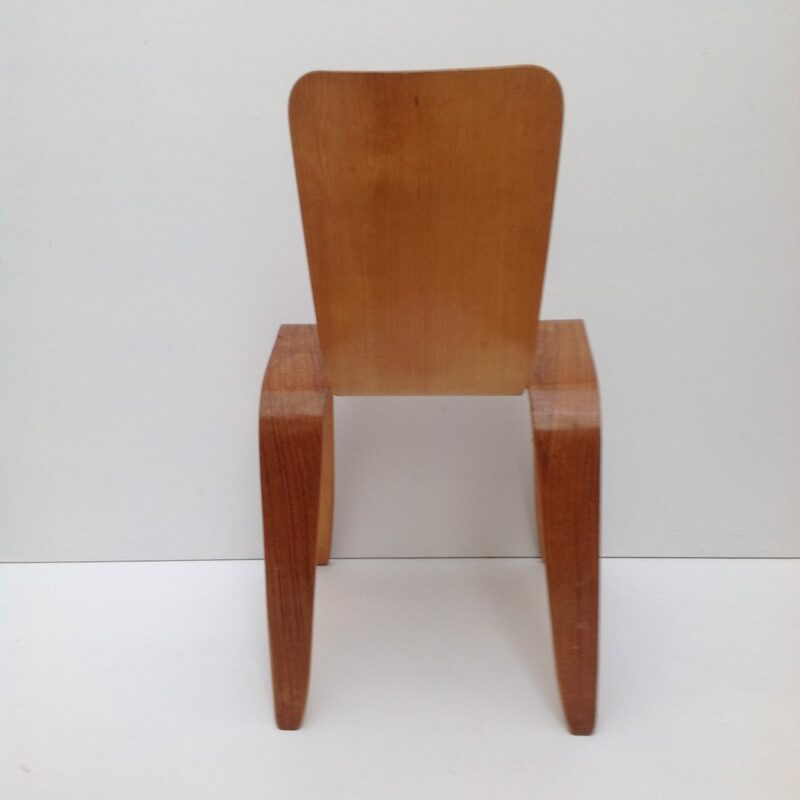 Designed alongside his other classic ‘LaWo chair’ Pieck was unable to find the plywood moulding expertise in his native Holland so came to Britain to manufacture these chairs. 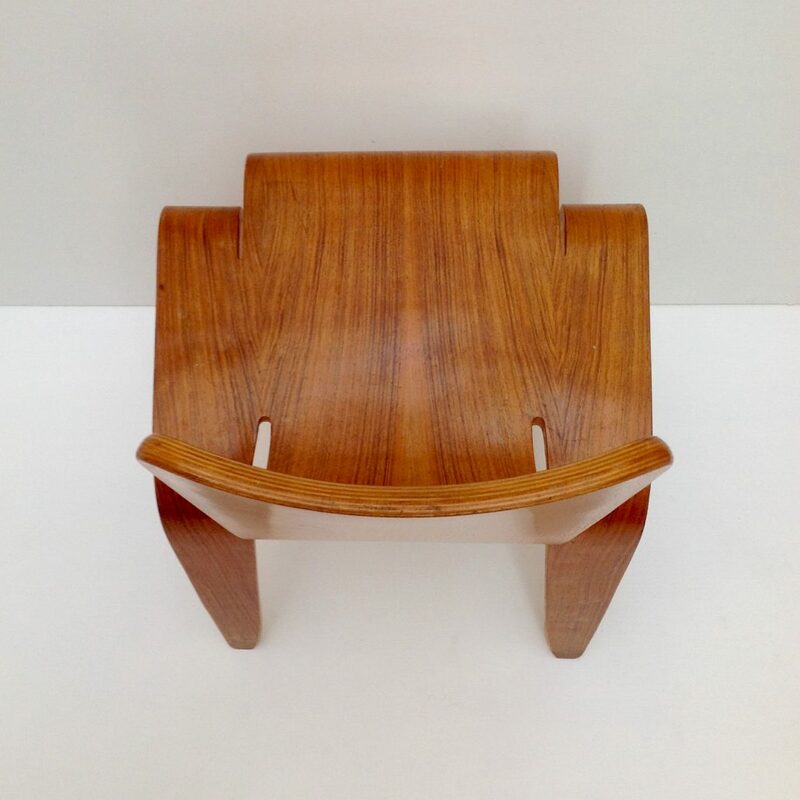 Morris of Glasgow had the necessary knowledge and equipment gathered through the manufacture of airplane propellers and fuselage for their notable war effort. 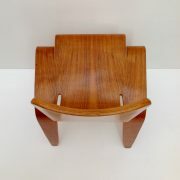 It is often referred to as a Neil Morris design. 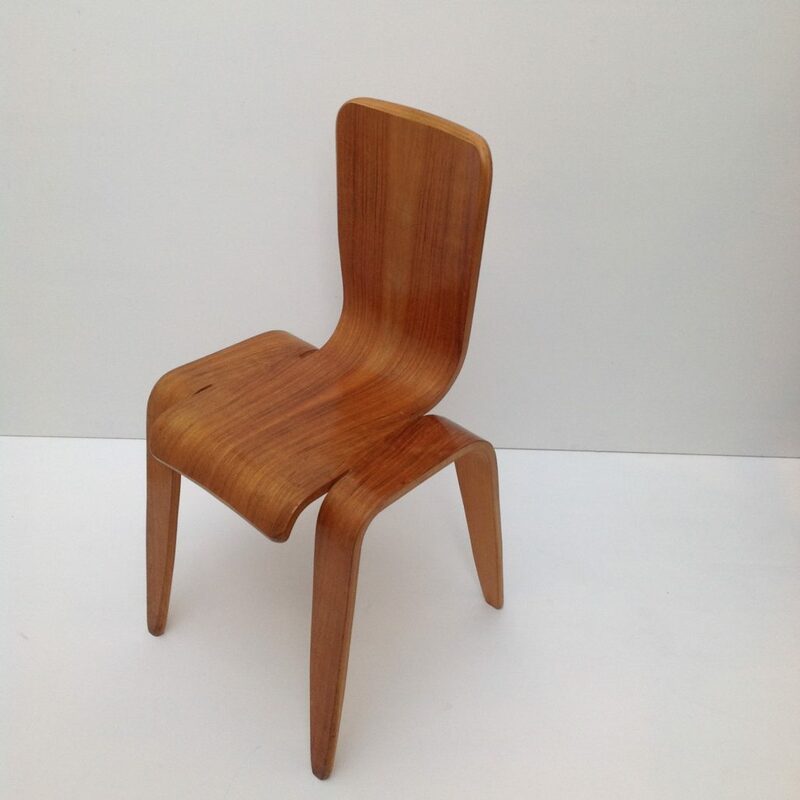 Unrestored museum quality example of this one piece bentply classic.